What would you call her style? Effortless chic, I would say. But this time we’re not talking about fashion. We’re talking about interiors. 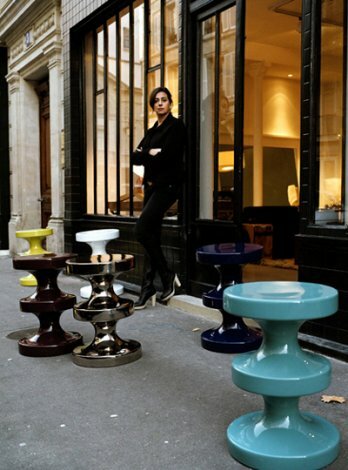 India Mahdavi is one of the most coveted and sought-after interior designers of the moment. Have a look into her showroom in Paris. “What magic ingredients turn a designer like India Mahdavi into a success within three years”, the New York Times asked several years ago and gave the answer immediately: “talent, certainly, but also luck and an eclectic background that marks her work as exotic, global and sophisticated”. 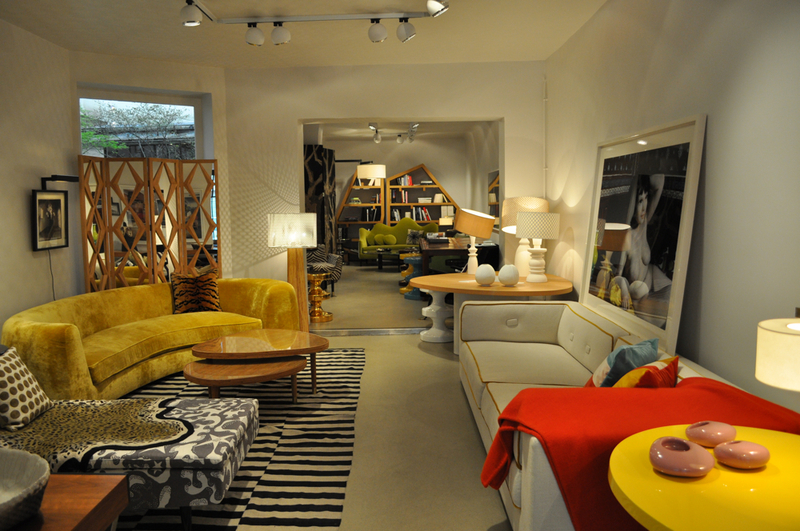 Walk into her showroom on rue las Cases, and you will immediately get this feeling of her global, cosy chic. Mrs. Mahdavi is a Paris-based designer, but she was born in Tehran of an Iranian father and a half-Egyptian, half-Scottish mother, and was brought up in the States, Germany and South of France. After studies at the Ecole des Beaux Arts in Paris, where she received an architecture degree, at Parsons School of Design and Cooper Union in New York, she worked with the French interior designer Christian Liaigre, before she created her own studio in 1999, a few years later followed her showroom. Little by little she started to design her own furniture, which you can purchase at her showroom. India Mahdavi is somebody special in her domain, somebody, who has never looked for a recognizable style. She actually doesn’t want people entering a place and immediately identifying her marks. Of course, there is one unmistakable signature piece, the bishop stool. Otherwise, Mrs. Mahdavi likes to change, to move, to adapt. Designing a home for somebody, she once said, is like making a portrait of a person. And she’s obviously very sensitive and very talented in observing people and translating it into colours, forms and simply homes. Lately, Mrs. Mahdavi has undertaken a lot of remarkable projects, Hotels like the Monte Carlo Beach, the Maison Thoumieux in Paris, or on Rivington in New York; there are also restaurants like Germain, Jean-François Piege in Paris or the Connaught in London. 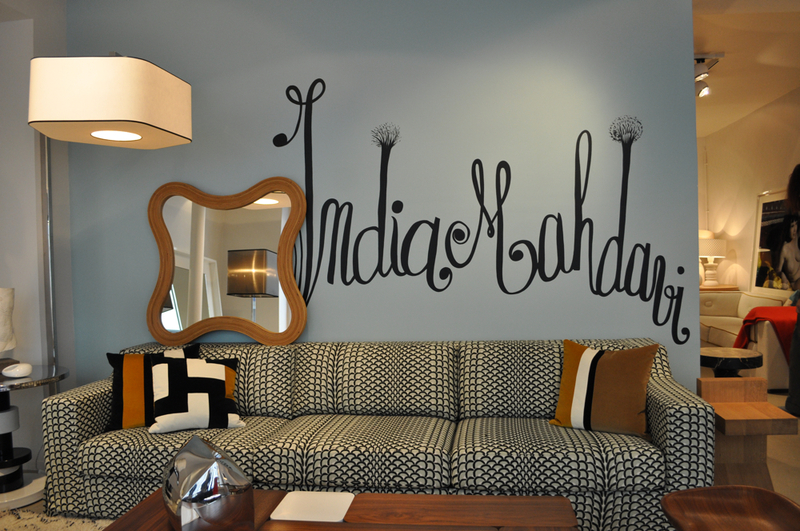 Of course, it’s for to everyone to be able to ask India Mahdavi to design one’s home. 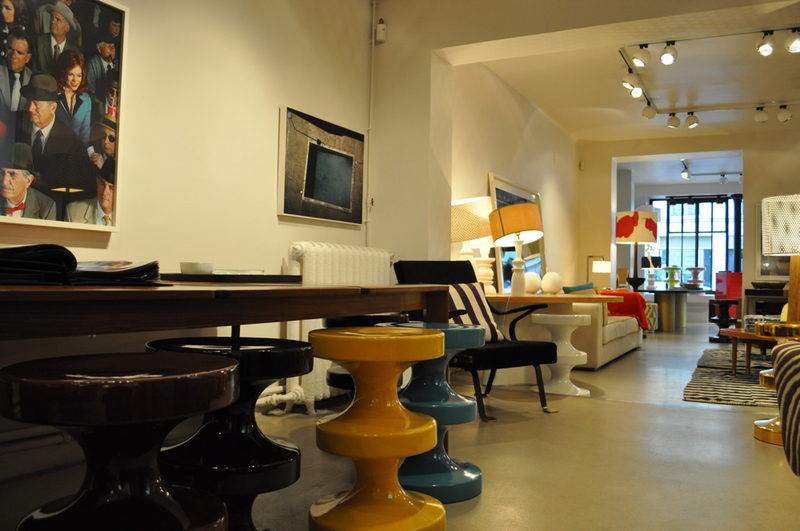 But a bishop stool (about 825€) can add a happy twist to a living room.